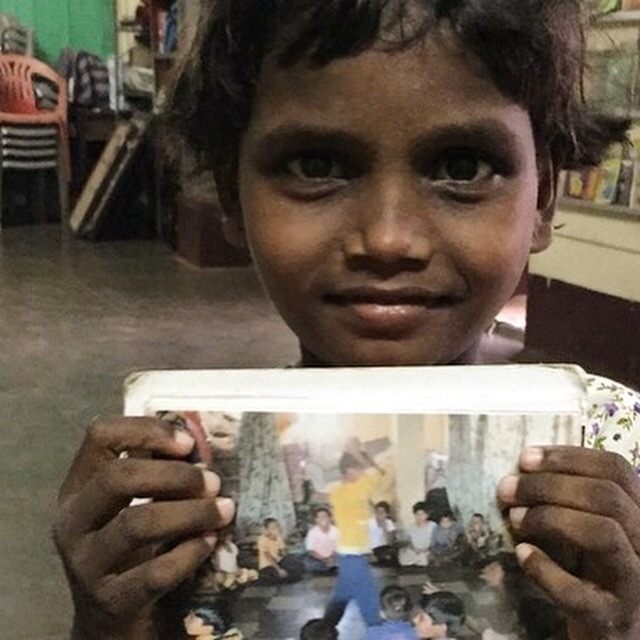 A children home in Mangalore – school bags and undergarment needed – Go India, go future! When I enter the children home in Mangalore, there are ony a few children. Most of them stay in a room on the 1st floor, where Gita, a volunteer, explains how the Internet works. The girls are very interested. What they experience here, is a small part of the “big world” outside, a world they rarely have access to. Sure, the girls know the Internet from other children at school, but they do not know how to get access. Gita meets the girls on a regular basis. “It is important to me that the girls know what is happening outside the home and school, outside in other parts of the world. They should know the possibilities and how they can get access to it. The girls want to know that much and education is key. We have found a sponsor for school books and know we need urgently bags, but Hilda will tell you much more about it soon…I work with the children during the late afternoon. Via some old PCs (the software is from 2002!) I teach some small things, but it could work .. they could get a basis for income when they have to leave the home at the age of 18. Not all will find a good husband at that age…” Gita worries – and there is a reason behind, because some of them just need to live on the streets or sleep in the women shelter which has been set up by Hilda who is the leading Prajna Counsel, the NGO.. The bags cost around 3 EUR /dollar each. If only a few could sponsor one … Maybe you?